Newfoundland-based studio Other Ocean Interactive has received a surprise nomination for its role in developing a VR game. 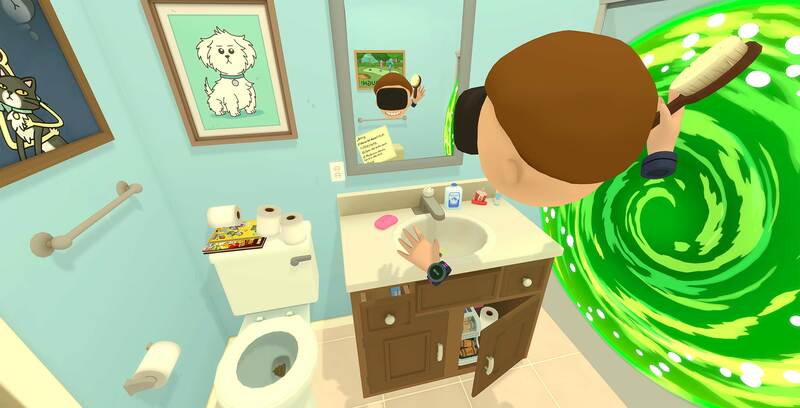 The studio helped develop the virtual reality game Virtual Rick-ality, based on the hit animated series Rick and Morty. Owlchemy Labs, Adult Swim Games and the Rick and Morty creative team also share the nomination. The game-makers chose Other Ocean because of its experience in VR and its strong technical team. The studio worked on the technical aspects instead of on the content of the game. Other Ocean studio head Deirdre Ayre told CBC that the project was definitely a team effort. However, Ayre didn’t believe the news at first. She thought she received a congratulatory email by mistake, until she received the press release. The studio considered its chance to work on the project to be an achievement, but the Emmy nomination makes it even better. The series follows the misadventures of mad-scientist Rick and his grandson Morty. The Emmys nominated the game for the category of Outstanding Creative Achievement in Interactive Media Within a Scripted Program. As well as Virtual Rick-ality, there are four other nominees in the category. 13 Reason Why picked up a nod and Mr. Robot was also nominated. Two HBO properties picked up nominations as well, Silicon Valley and Westworld. While the competition may be stiff, hopefully Other Ocean and the rest of the Virtual Rick-ality come out on top. It would be a great win, and Other Ocean is certainly deserving.